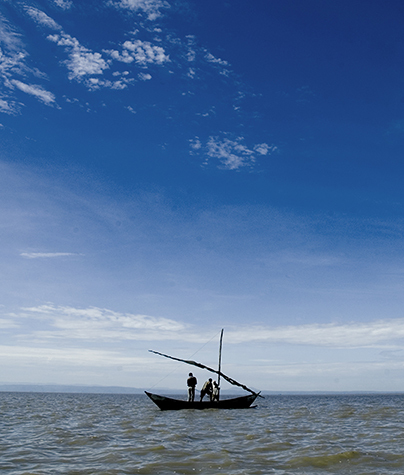 Fishermen on Kenya’s Lake Victoria supply Kennedy’s fish mongering business. Kennedy Onyango is a microfinance client in the St. Emily Wachara group. He helped to form the group of 15 active members in February 2014. Kennedy works for Life for Children as a security guard in the Wachara office. He has one child who is 10 years old and attends Hempfield Academy. Kennedy enrolled in our microfinance program with the intention of opening a business for his wife. 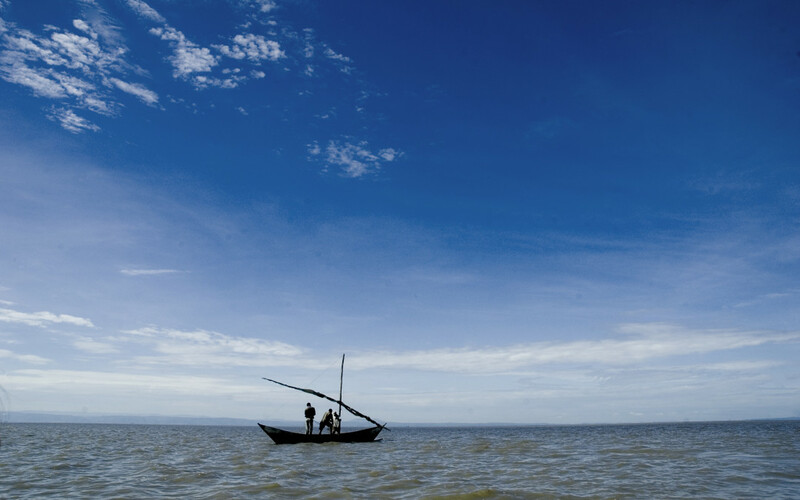 With a first loan of $125, his wife started a fishmonger business purchasing from the fishermen by Lake Victoria. (Lake Victoria is the source of tilapia supplied to Europe.) Kennedy continues to work as a security guard at night and assists his wife with the business during the day. Working two jobs allowed him to repay the first loan within 5 months. Kennedy now has a second loan of $312.50 which he has almost repaid. He says that he has seen a great improvement in his family’s well-being as their business continues to thrive. Steady growth has allowed them to gradually purchase larger quantities of fish. Kennedy has much praise for the Heart for 100 program and is looking forward to additional development opportunities for himself and other members of the community. Caroline Juma’s thriving retail business had very modest beginnings. Caroline Juma is a member of the ‘Wachara A’ women’s group. She is a mother of four children, and her first born son is in secondary school. Caroline owns a retail shop within the Wachara center. She started her business in July 2010 in a small way by selling water and mobile phone accessories, with the equivalent of $500, provided by her husband who is a driver at a company within Kisumu. She enrolled in MEDD (Microfinance Enterprise Development Department) in 2013. She expanded her business with her first loan and is now serving her third loan of $2,000. 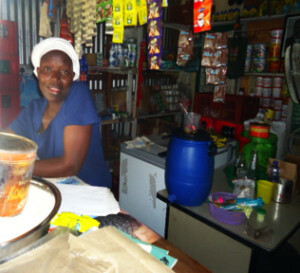 With each loan, she has expanded her shop and added stock. Caroline’s shop is one of the busiest within Wachara, and her income is double the initial capital she used to start her business. Caroline no longer depends on her husband’s income to buy stock. She knows what is needed and how to procure it. Caroline has seen growth through micro finance and is particularly happy with the way that MEDD makes installment payments easy to manage. She is delighted to be able to meet the needs of her family.